Shorter days, darker nights. But still we ride on, forever pedalling. 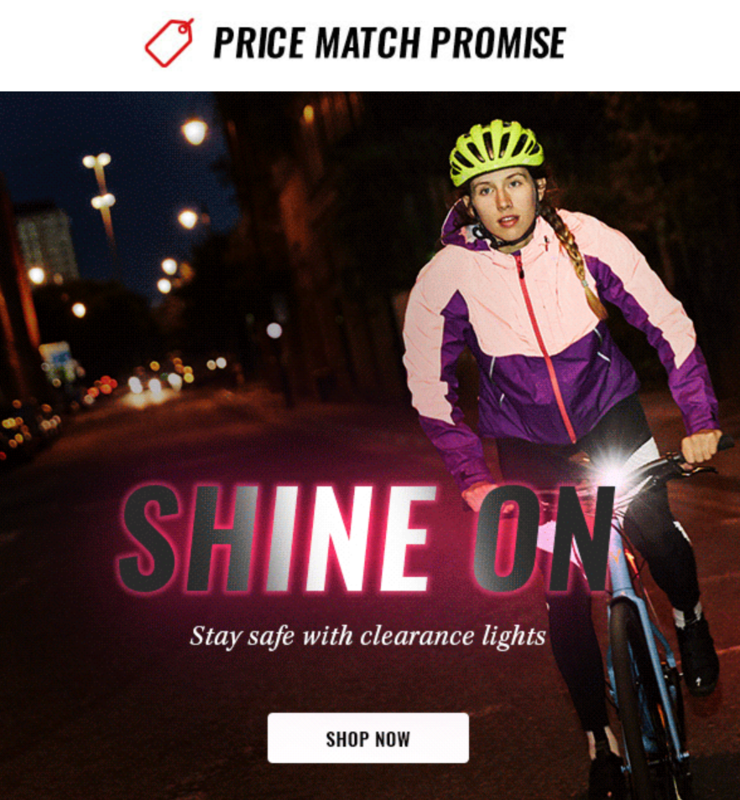 Stand out and stay safe this winter with our great selection of clearance lights, to help you light it up on every ride. Use code EXTRA10 at checkout for an additional 10% off clearance items.